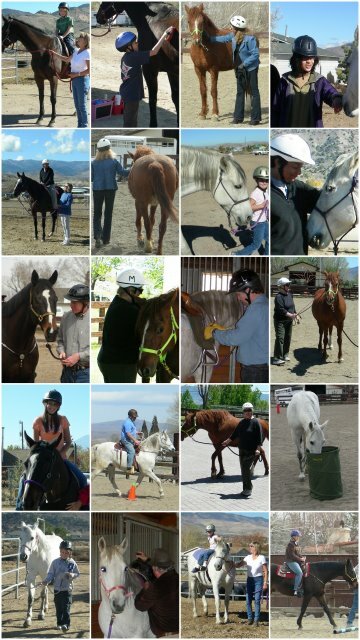 There are many reasons why Equine Therapy is an effective intervention for many people. For many, horses are nearly magical in their power, beauty and sensitivity. 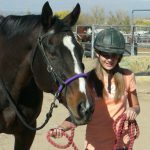 For some it is the fact that horses are prey animals, creating a sympathetic relationship, especially when dealing with PTSD. But this LA Times article highlights another reason why the work we do is so effective. Many people learn better while moving. Additionally, something else that is mentioned is how many people are uncomfortable with direct eye contact when talking about their feelings. Whether participating in the soothing, repetitive motions of grooming, or mounted and feeling the sway of the horses movement, our clients are often more relaxed and comfortable talking about what’s going on and considering alternative strategies for dealing with challenges in their lives. We work with children as young as 4, teens and adults. We address challenges ranging from ADHD to Sensory Processing Issues. We would be happy to give you a tour, introduce our horses, learn more about what you, or your child, is dealing with and will share how we may be able to help. Call or email us today and we will schedule a visit for you! This entry was posted in ADHD, Anxiety Disorders, Asperger's, Autism, Bipolar, Children's issues, Depression, Eating Disorders, Grief, In my opinion, Mental Health, OCD, ODD, Other challenges, PTSD, Reactive Attachment Disorder, Schizophrenia, Sensory processing issues, Teens. Bookmark the permalink.